Klavdija Kopina, translated by A. L.
will consist of two parts, semi-finals and final, which will take place in February. 16 songs will be presented in the semi-finals and eight of them will get through to the final. The following performers will appear in the semi-finals (in alphabetical order): Anabel, BQL, Gregor Ravnik, Ina Shai, Indigo, KiNG FOO, Lara Kadis, Lea Sirk, ManuElla, Marina Martensson, MILA, Nika Zorjan, Nuška Drašček, Orter, Proper and Tanja Ribič. 16 songs were selected from 108 applications by a 4-person jury, consisting of the musician, singer and a representative at the 2011 Eurovision Song Contest Maja Keuc, the musician and professor of guitar Eva Hren, the Val 202 radio station music editor Jernej Vene and the musician, guitarist and author of music Tadej Košir. This year's greatest novelty was the rule that authors or performers had to submit songs written for the performance in Slovene. Which means that, in the semi-finals, performers will present their songs in Slovene. The Slovene representative at the 63rd Eurovision Song Contest will be selected by viewers, listeners and a jury. The decision will be split 50/50 between the jury and telephone voting. 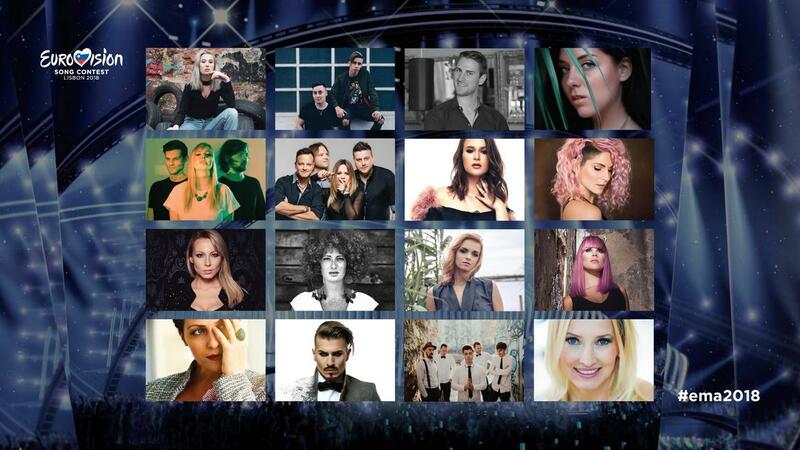 Eight songs will make it to the final, four will be selected by viewers and listeners and another four by a jury comprising seven members (one jury member will be a representative of the TV Slovenia entertainment programme, which is organising the event). The final will be judged by viewers, listeners and six 5-person juries. The juries for the final will be divided across five different sets: a jury of music performers (singers and other performers), a jury of music artists (producers and authors of music, lyrics and arrangements), a radio jury (editors, journalists, hosts), a television jury (editors, hosts, directors, choreographers, designers), a jury of Eurovision Song fans (members of the official European Song fan club, OGAE Slovenia) and an international jury (music performers and artists, television and radio producers, journalists, representatives of publishing houses/publishers). The Portuguese capital Lisbon will host the Eurovision Song Contest for the first time next year thanks to Salvador Sobral. 43 countries will take part in the Contest. The first semi-final evening will be held on the 8th of May, the second on the 10th of May and the grand final will take place on the 12th May 2018.